Most guests embraced the 60’s theme wearing plenty of prim and proper. After all, there was a special guest worthy of impressing – Mad Men’s own Janie Bryant, the award-winning costume designer, was in attendance. As a nod to the show’s fashions, outfits from Toronto’s vintage wardrobe rental studio, Ian Drummond Collection, were displayed throughout the party, exemplifying how well 60’s fashion fits in 2011. To drive the theme home, literally, guests received Janie’s book, The Fashion File: Advice, Tips and Inspiration from the Costume Designer of Mad Men in their gift bag. Since AMC’s Mad Men debut, 60’s nostalgia in fashion has been on the rise and hit fever pitch last year. In many designer collections, fashions seen on the small screen have been influencing the runways and are set to do it again for Fall 2011. As the show enters the late 60’s expect to see this evolution realized by designers. 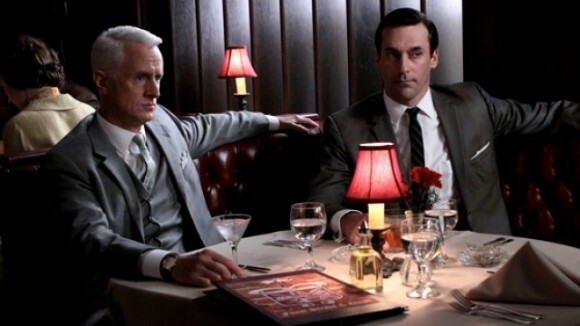 Check out this great article on Mad Men and New York Fashion Week. And if you haven’t seen January Jones in the new Versace ads, click here….wowza!